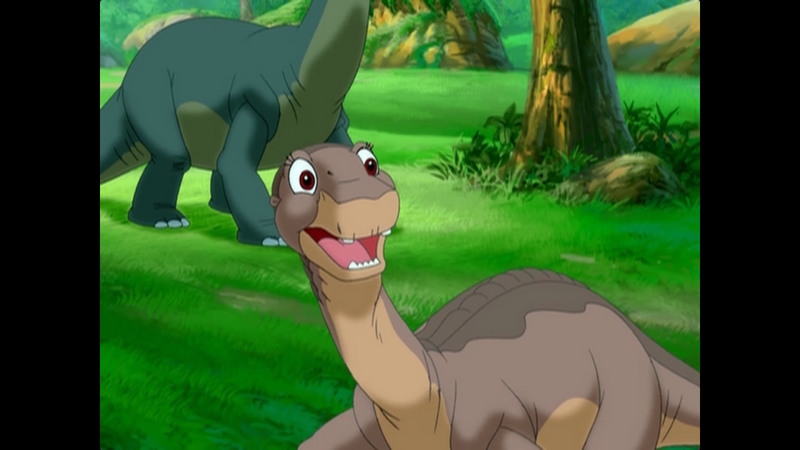 The Land Before Time XIII: The Wisdom of Friends (2007) - AoM: Movies et al. 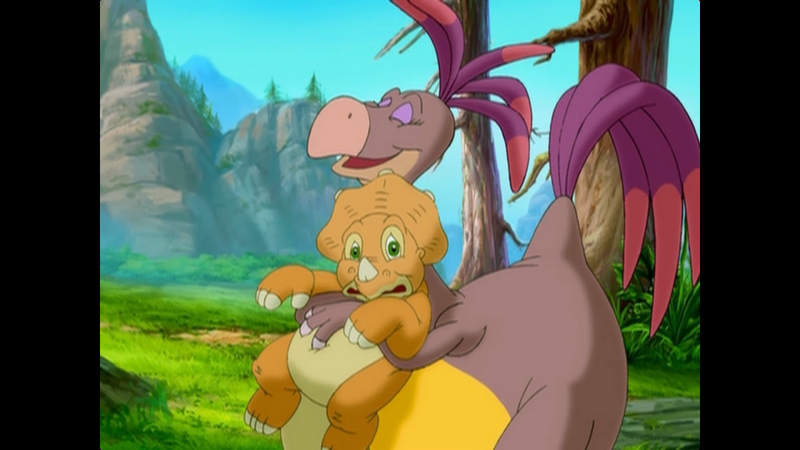 Until The Land Before Time XIV: Journey of the Brave is released in 2016, The Land Before Time XIII is the most recent Land Before Time sequel. Of course, it will forever stand as the last film in a stretch of releases beginning with The Land Before Time II in 1994 - the series saw one sequel released around December every year except for Dec 1999 and Dec 2005. In any case, while the Land Before Time series might not have the most interesting plots, they often (if not always) have something to teach - highly appropriate for a family/children's movie. 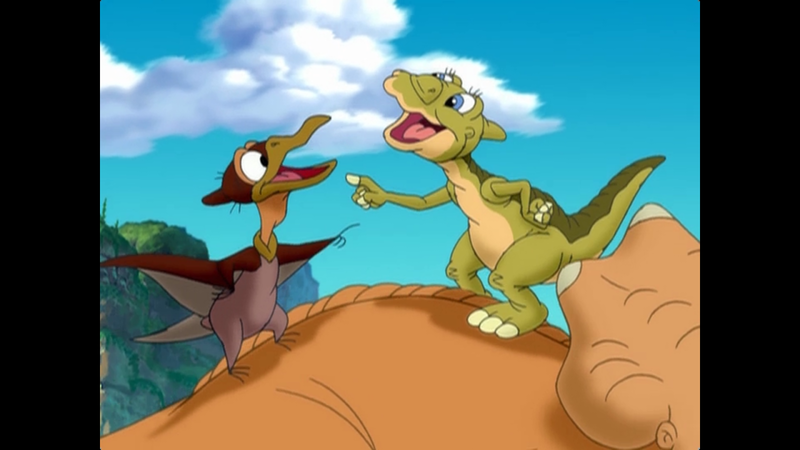 Petrie (Jeff Bennett) and Ducky (Aria Noelle Curzon) on Cera's back. 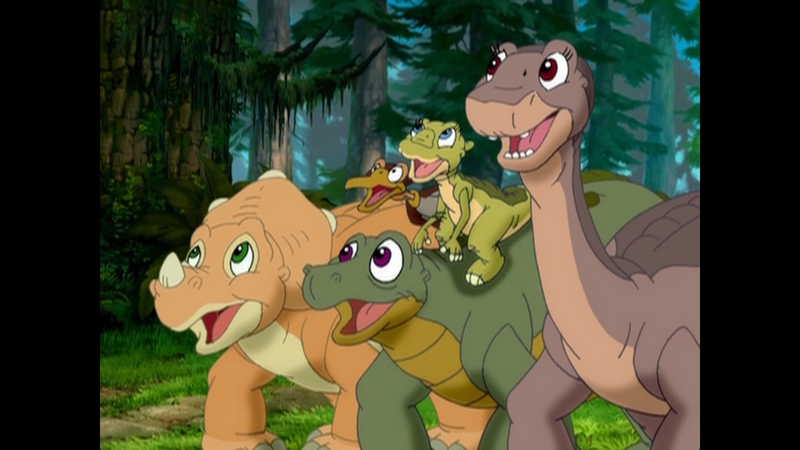 See also The Land Before Time I, II, III, VII, and XI. "We're playing jumped and get swept away." Cera, Spike (Rob Paulsen), Petrie, Ducky, and Littlefoot. Hahaha. 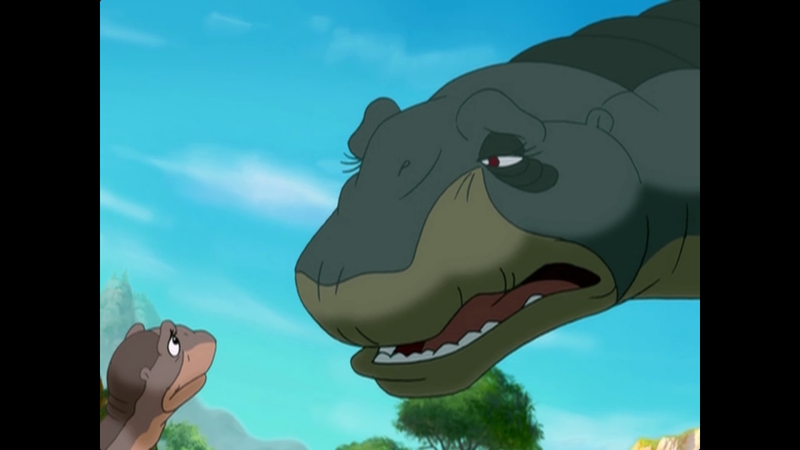 "Wise one better be really wise." Ha, Cera complains and cites one of the wisdoms she's learned: plan ahead. 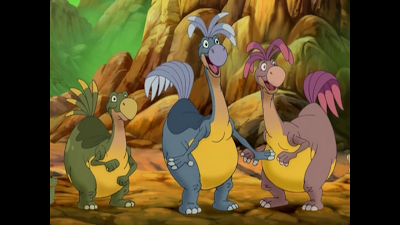 Foobie (Pete Sepenuk), Loofah (Cuba Gooding Jr.) and Doofah. Hehe. 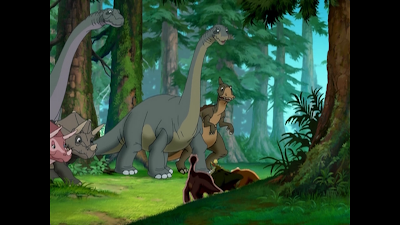 Their wisdom didn't make sense to Littlefoot and his friends. "Things work out, if you just let them." "Stop worrying about tomorrow and just dance." Huh. Perhaps traditionally when they don't stay so grouped up, they don't leave any tracks. Oh wow, what an important wisdom learned: trust your instinct. Foobie seems like the wise one to me. Haha. "That's why they call him 'The Wise One'." Stay in the Great Valley. "We have trouble with that one, yep, yep, yep." Tria (Jessica Gee), Topsy (John Ingle), Grandpa, Grandma, and Ducky's mother.